Is Kratom as Bad as the FDA Says, or a Benign Alternative to Opioids? I have both some good news and some bad news to report. The good news is that there may well be a relatively simple way for many individuals now caught up in the ongoing nationwide opioid crisis to pull themselves out of it. And that’s no small thing, considering that that this man-made catastrophe has killed an estimated 20,000 Americans from overdoses in 2016 alone. The bad news is that the federal government is trying its best to make such apparent salvation illegal. By that, I’m referring to a recent “public health advisory” about the “mounting concerns regarding risks associated with the use of kratom” issued by the U.S. Food and Drug Administration Commissioner Dr. Scott Gottlieb. No reliable evidence? That’s just the sort of assertion that infuriates a lot of former addicts who regard kratom as a godsend that has enabled them to successfully kick their habits and go back to leading normal lives. And that’s just the latest step in a growing governmental effort to crack down on kratom, which last December was the subject of an FDA “import alert” and actual bans by several states (as well as a county in Florida). But there has also been considerable resistance — last year, for example, approximately 142,000 people signed a White House petition to reverse a Drug Enforcement Administration proposal to ban two components of kratom by relegating them to the most restrictive classification of the U.S. Controlled Substances Act, which, along with a march in the nation’s capital and a bipartisan appeal from more than 50 members of Congress, helped bring about its withdrawal (not that you heard much about that on the news). So who’s right – health authorities like Gottlieb who are making kratom out to be a new addiction menace or all those former addicts who are calling it a lifesaver? My own opinion is that we really, really need to pay attention to what the latter folks are telling us. And that’s not just based on my reading about this subject so far, but on some extensive research my sister Linda and I did more than two decades ago for a magazine article and a short book we co-authored on another controversial plant – the sweet, noncaloric herb stevia. The case against stevia being made by the FDA at that time, in fact, bears some remarkable similarities to what the agency is now saying about kratom. It also was considered to be an “adulterated” substance, one so dangerous as to necessitate the same sort of “import alert” as kratom and to prompt actual raids by armed federal marshals. In the course of our research, two key officials at the FDA told me the reason for these actions was that not enough was known about stevia. That, however, was a rather spurious rationale, since, beside its long history of use with no apparent adverse reactions, it had been extensively tested by Japanese researchers and was found to be completely safe. The real reason for these Draconian actions, however, was that an unidentified company (apparently NutraSweet), had filed a “trade complaint” alleging that stevia was an “untested sweetener” that shouldn’t be allowed on the market. But a number of years later, after a major beverage manufacturer decided it wanted to use stevia in a soft-drink formula, stevia suddenly became A-OK for sweetening a variety of products. Actually, there has been some very credible scientific examination into the benefits (and possible risks) of kratom undertaken in the past few years – particularly extensive research done by Christopher R. McCurdy, PhD, at the University of Mississippi and Edward W. Boyer, MD at the University of Massachusetts (whose work has yet to be peer-reviewed). In one experiment, for instance, they administered repeated doses of morphine to mice with the purpose of getting them addicted, then abruptly halted the narcotic and fed them either regular food or food to which freeze-dried extracts of kratom tea had been added. They found that withdrawal symptoms had been almost completely blocked in the latter group. And a year ago, the American Kratom Association, or AK, issued an eight-factor analysis by Dr. Jack Henningfield, Ph.D., vice president of Research, Health Policy, and Abuse Liability at Pinney Associates, a health consulting firm specializing in “issues associated with developing, registering and marketing medicines with abuse and diversion concerns.” Henningfield concluded that kratom’s potential for abuse and dependence was no greater than such widely used and unscheduled substances as “nutmeg, hops, St. John’s Wort, chamomile, guarana, and kola nut,” and that there was “insufficient evidence” for the DEA to ban or otherwise restrict its use. But if that’s the case, why, then is the FDA commissioner (in an administration that has such an ostensibly deregulatory mindset) so adamant about putting this supposedly therapeutic plant on a taboo list? As was the case with stevia, might there be an industry interest in keeping kratom off the market (at least for now)? A possible clue might be found in Dr. Gottlieb’s comment that “to date, no marketer has sought to properly develop a drug that includes kratom.” Of course they haven’t. Like stevia, kratom is a natural, nonproprietary substance that can’t be patented by the pharmaceutical industry, whose aim is always to develop the next “blockbuster” drug, and for whom risky pain relievers have become a huge source of income (hence, those opioids that they managed to get past a less-then-vigilant FDA in the first place). And while we might not have the evidence of a “trade complaint” in this case, we do have an interesting coincidence. 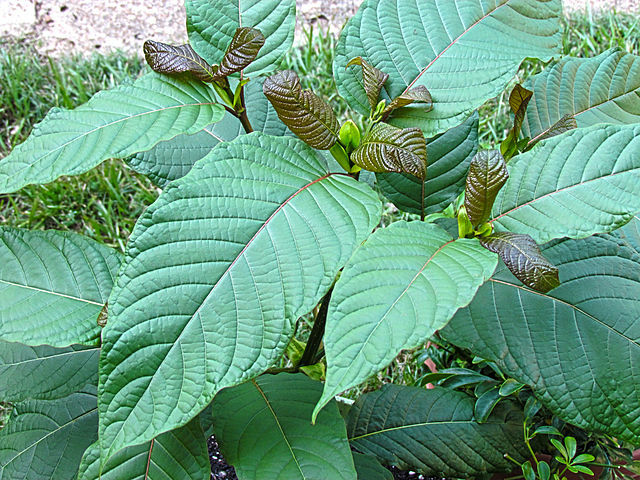 A mere two weeks after Gottlieb’s official diatribe on the supposed “deadly risks” of kratom, the FDA announced its approval of Sublocade, the first once-monthly extended-release buprenorphine injection, described as “a medication-assisted treatment option for opioid use disorder,” but which, according to its label warning, “can be abused in a manner similar to other opioids” with “life?threatening respiratory depression and death” having occurred in association with buprenorphine. Obviously, since kratom is not included in those therapies, its promotion is not in keeping with those FDA efforts. Whatever the reason Gottlieb has so cavalierly dismissed the testimony of numerous individuals who feel kratom has rescued them from the grip of opioid or heroin addiction, it could mean we well may be throwing away our most valuable tool for ending that ongoing national tragedy at a time when it’s most needed.